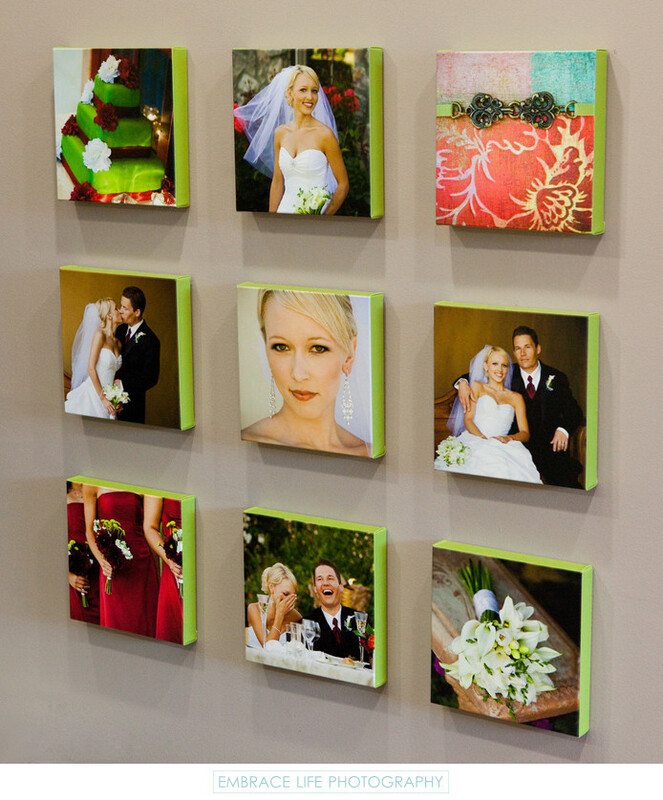 This wedding photography canvas collection was designed for Embrace Life Photography's studio which has an entertainment unit accented with a lime green color similar to the wedding cake seen at the top left of this image. The concept was to illustrate that canvas print edges can be customized to coordinate with either the photographs they contain, the environment in which they will be displayed, or in this case, both. Location: 1325 Broadway, Sonoma, CA 95476.